Brothers Marty and Eddie Rypkema have had a long time dedication and involvement in Western South Dakota's Agriculture business and community. Born and raised in Rapid City, SD they both attended the Rapid City School System and Northern State College in Aberdeen, SD. 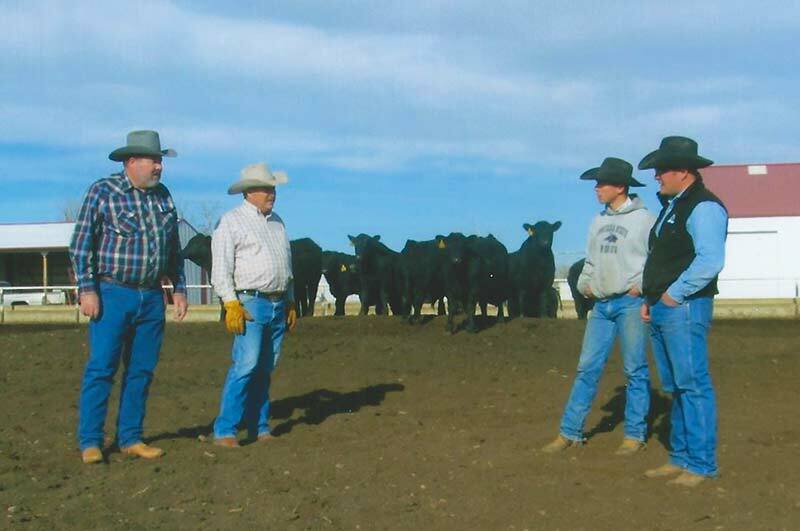 Their father, Milo, purchased a small ranch in Hermosa in 1970 and made it a priority to involve his three sons, Mike, Marty, and Eddie in the family ranching operation. The current ranch headquarters on lower Spring Creek were purchased by Milo and his three sons in 1998, and are now known as Mt. Rushmore Angus Ranch. When Milo passed away in 2007, Mike decided to retire leaving Marty and Eddie in charge. The two have since continued to expand the ranch and increase the number of bulls they are able to provide. Each year 400 to 450 cows are calved to provide approximately 130 sale bulls and 100 replacement heifers, and those numbers continue to grow. Mt. Rushmore Angus Ranch takes great pride in their operation and states their main goal is to provide highly functional bulls and female cattle with an emphasis on selecting strong maternal sires, while diligently working to select those sires who also offer carcass merit and performance. Along with their dedication to developing a herd of deep bodied feminine females who offer set to their hock, fleshing ability, good udders, and clean feet, their bulls must display good bone structure, thickness, workable dispositions, expansion of rib and overall balance. The ranch strives to constantly improve their herd and fully believes that each year they offer cattle that exceeds the expectations of their buyers. Their strong customer retention rate of second and third generation buyers speaks for itself. Marty and Eddie place high value on community and volunteer for many organizations including the Black Hills Stock Show Foundation, Western Dakota Technical Institute advisory board, SD Buckaroos, SD Auto Dealers associations, American Quarter Horse Association, the Rapid City Chamber of Commerce, Custer Trail Riders and American Angus Association. Mt. Rushmore Angus Ranch welcomes you to visit and see what makes this operation a success.